With enriched industrial experience, we have been able to offer a wide spectrum of Tee Coupling. Tee Coupling is popular among the clients for its unique features, high durability and cost effective prices. These are extremely useful in several engineering, construction and mechanical industrial applications. - Can be supplied with either threaded (BSB female) or grooved outlet. Our organization provides a wide range of Tee Coupling. 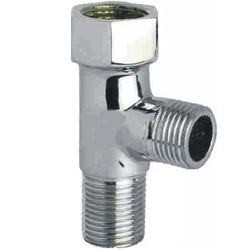 We are remarkable entity in this domain, engaged in manufacturing and exporting a wide array of Reducing Tee Coupling.